Do you own or manage a shopping business focused on the tourism industry in Bali? If you run a shopping tour, retail store, manufacturing company or any other tourism related business in Bali, we can get your business seen by Bali tourists all over the world. Bali is one of the tourism capitals of the world with millions of tourists travelling to Bali each year and every single tourist is a potential customer. Brand awareness and additional sales are key to making your business shine, by registering your business with Balitraveller.com.au, we guarantee you more people will be looking at your business. Rather than spending thousands of Adwords each year for little return our in-house SEO specialists optimize each listing to ensure search engines priotize your business. BASIC LISTING IS COMPLETELY FREE! No gimmicks or strings attached! 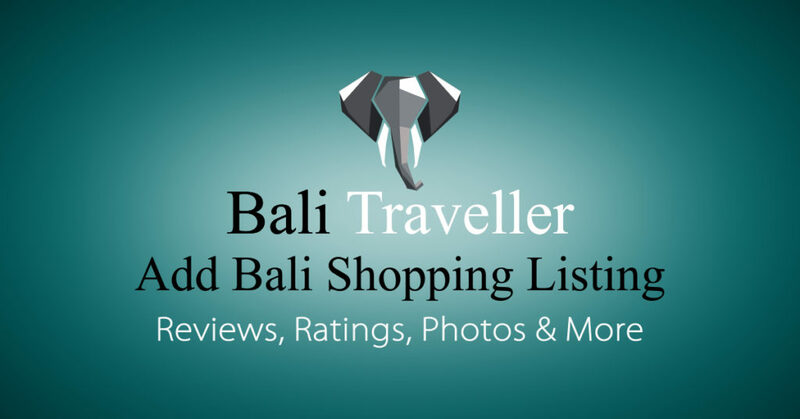 Register your business with Bali Traveller for Free today and get more potential customers viewing your business more often.